Brakes and rotors: is it worth doing myself? Discussion in 'General Explorations!!' started by spotted dogs, December 10, 2004. It all depends on if you have the time to make the repairs and feel comfortable doing the work. I would plan on 5-6 hours for the entire job if you haven't done brakes before. If you decide to do it yourself, pick up a repair manual before you start. Don't feel bad taking it to your mechanic either if you haven't got the time to get it done. Glacier 991 is doing a post on brake replacement with step by step details incl lots of photos. His truck is 1st gen though. Here's a link... much of the info is generic. yea ....its pretty easy to do if you get a repair manual and have a couple hours free, and an extra set of hands helps sometimes...i did mine the first time on a friday night after dinner and still had plenty of time to go out afterwards. Also you need to realize the job may be simple but things do break. I was just cleaning my rear brakes and broke 2 bolts that hold the caliper on. I had to heat the ears up with a torch to extract what was left of the bolts. But hey you'll never learn until you try. Hello, I'd suggest buying the parking brake cables from another vehicle, try Ebay. Let the experienced machanic fix that. How were your parking brakes, because those are separate pads. They cost about $90 from Ford, and are tough to change with the axles in. The rotors and pads are a breeze on the 2nd generation Explorers. Two bolts for each caliper gets them off. Compress the caliper pistons first, before removing the calipers, Have someone available to help bleed the brakes, and open the bleed screws temporarily, as you compress the pistons. Use a large screwdriver between the rotor and the pad, carefully. Done right, it may slightly damage the pads, which you are going to throw away. It is very bad to push dirty brake fluid back up through the brake lines, into the ABS pump. The dirty fluid can and will make the ABS pump fail, eventually. Brake fluid is cheap, replace as much as possible it every time you do the brakes. Price rotors which are slotted, or drilled. They are reasonable, and some look really good(Ebay). 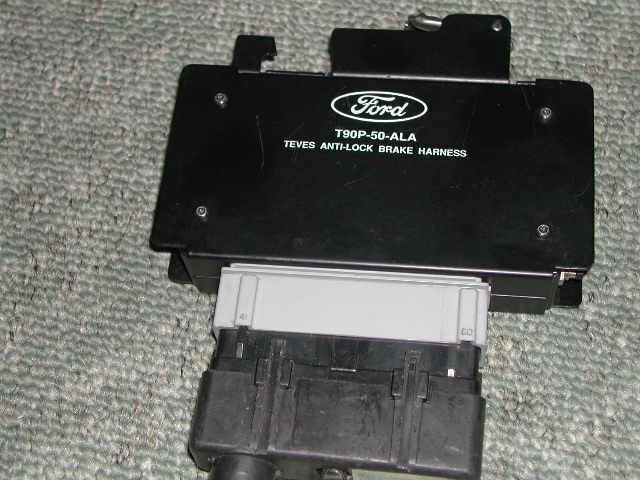 It is very bad to push dirty brake fluid back up through the brake lines, into the ABS pump. The dirty fluid can and will make the ABS pump fail, eventually. Brake fluid is cheap, replace as much of it every time you do the brakes. Correct me if I'm wrong, but I believe that bleeding the brake system on the 2nd generation Explorer is not recommended to do for a home mechanic, according to the Haynes repair manual... I think it stated that the system can only be bled (or tampered with) properly using "an expensive tool" that only service centers have available. I know I'll also have to change rear pads on my '99 XLT soon, but I was thinking of just forcing the caliper pistons back in and installing new pads once there's sufficient clearence (like I've done so many times on other, older cars). Can anyone confirm what the proper way would be for doing this? Thanks in advance. 762mm, very good question. I know that the late Crown Vics require an expensive tool to bleed the ABS pump. It may be true of all late model Fords. The key is the ABS pump. If you don't let air get into the pump, then the system bleeds normally. The ABS pump is bypassed when it is not actually operating. Fluid bypasses it, meaning that you can't manually force fluid through it. With a second person, you should have no problem making sure that no air gets in through the master cylinder(Don't let it run dry). But still, understand that the ABS pump, etc. is very expensive to fix. It's not worth the ease of forcing the fluid back in, and risk causing problems with the ABS pump. Basically all of the "dirt" in the brake fluid gets in at the calipers, where the pistons move in and out. Look at the fluid in the master cylinder. The fluid is dirtier at the caliper than in the master cylinder. I'll do a postscript if you want showing the tool and how it is used. It wasn't needed on this job because the 92 is a rear ABS system only and we were just doing the front without bleeding. I have that "expensive tool" (have a couple for sale for $75 each) and can show you how it works. I like to both show visually how some things are done, and also show how us home guys can "DIY" some things the manuals say we cannot (like the A4LD Rebuild Diary). That pump tool isn't all that expensive, as you can see. 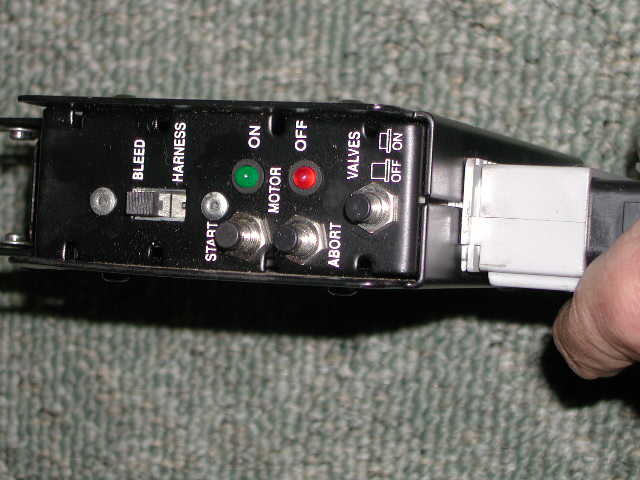 Glacier, others on a Crown Vic Forum have stated that the average scan type tools cannot cycle the ABS pump. I just have an ear to the subject, because I have a 95 Crown Vic with a soft pedal. I added ABS to this 95, because it didn't have it. I bought a 97 ABS pump/module, master cylinder, two hubs, four sensors, front wiring from that 97, and two halves of brake lines. My ABS pump undoubtedly has some air in it. "They" said that the OBDII port has to be accessed, and the pump cycled manually while the brakes are bled. The dealer tool to do it is evidently well over $1000. I'd love to know of a less expensive alternative, but be sceptical, because others have tried a lot of things. Glacier, have you yet received the 5R55W? I think that I can use the output shaft from a 4x4 5R55W, but I'd appreciate a second opinion. Here is the 90-050-ALA adapter. It hooks into the PCM. I have two Thexton adapters that do the same thing... just do not give you the harness (bypass) position. Still skeptical? They are out there... and at reasonable prices. Bleeding ABS systems CAN be DIY.